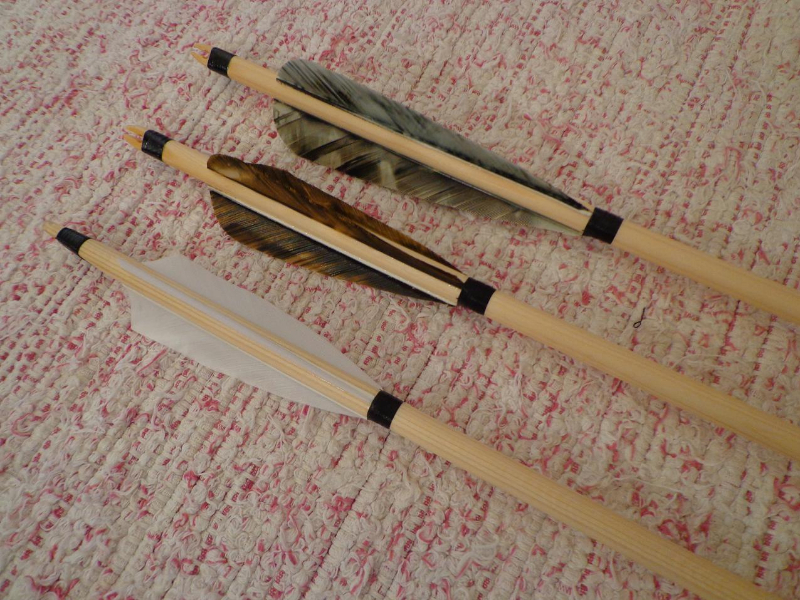 Unsorted traditional wooden arrow with natural feather. 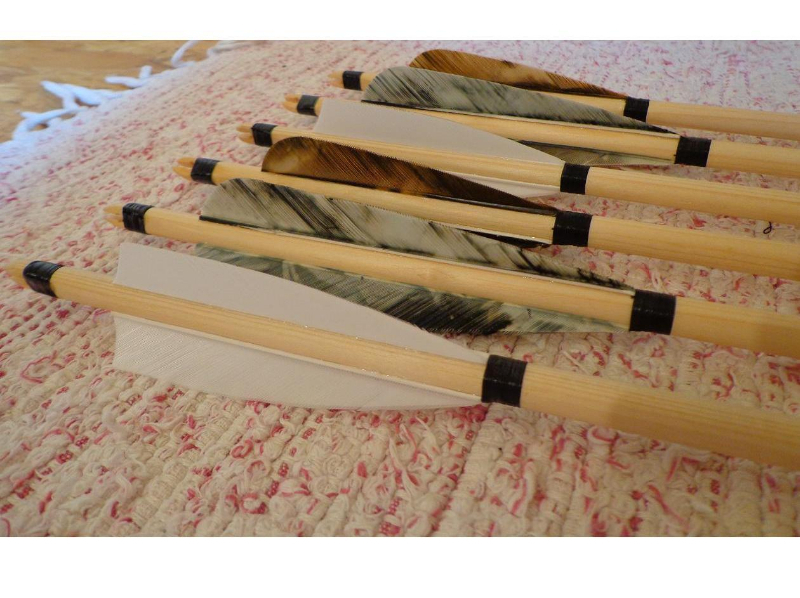 The function of feather at the end of the arrow is to stabilize flight of arrow - it makes shooting more accurate. 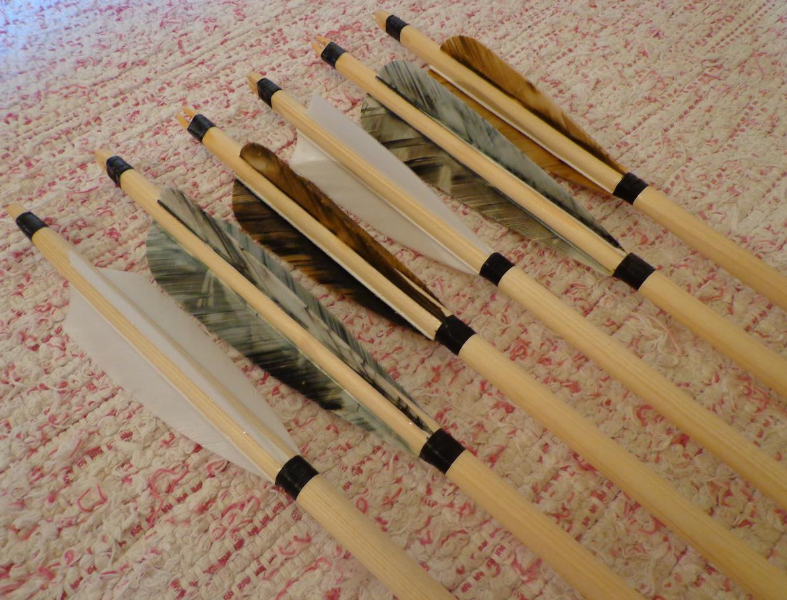 Arrows have steel tips, which ensure high forcibility of target. 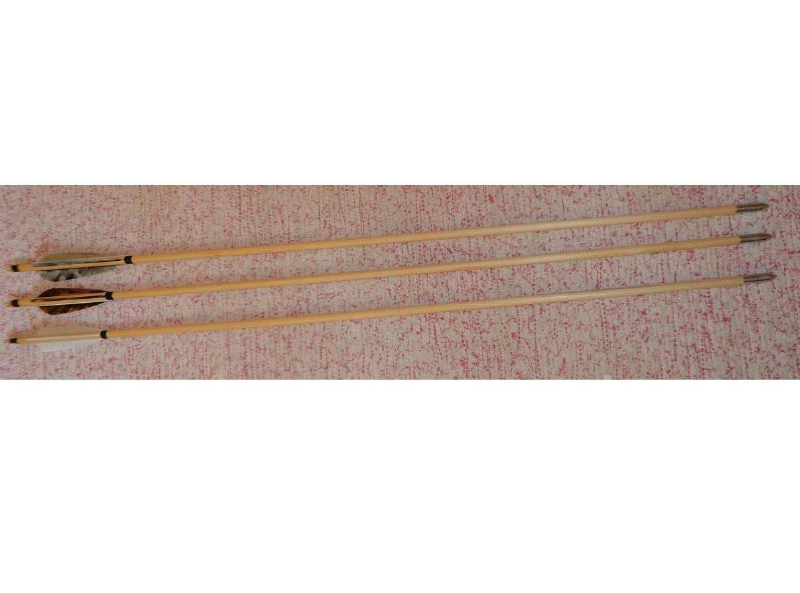 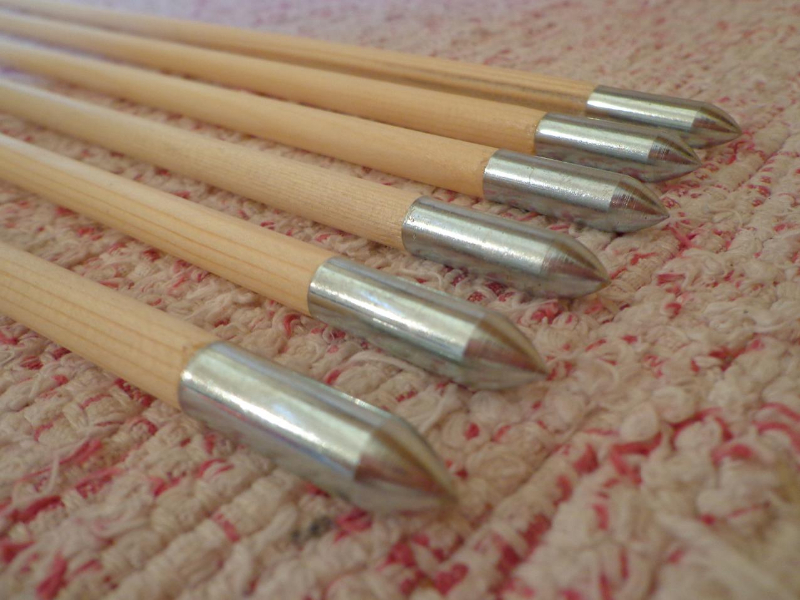 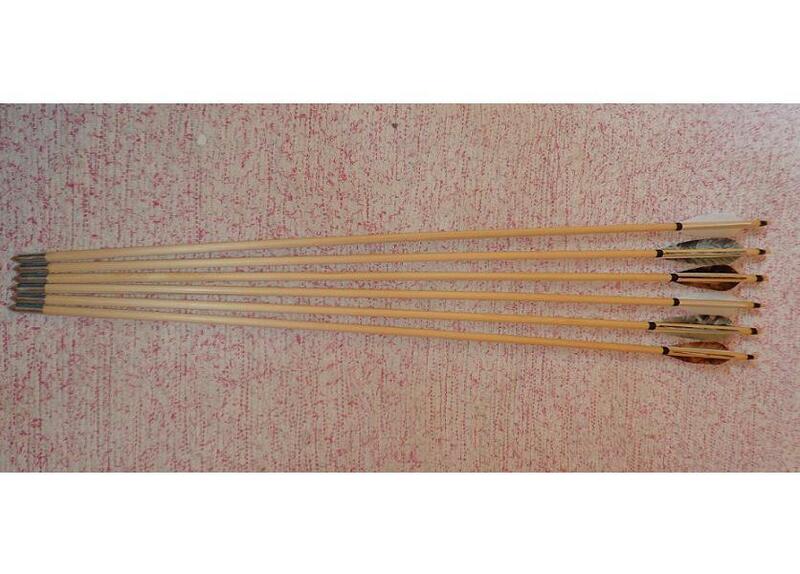 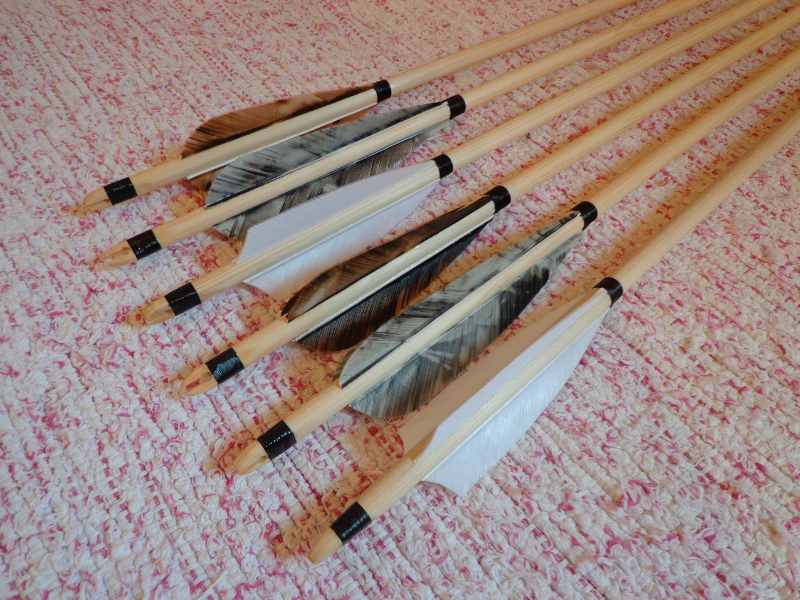 Wooden arrows have traditional end - they're suitable for traditional historical shooting and historical events.